Explore Sydney's surroundings by going to Katoomba (Wentworth Falls, Blue Mountains, & more). 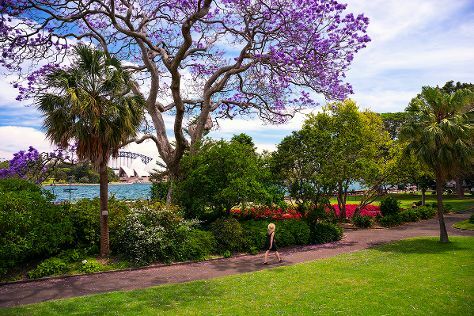 There's lots more to do: take in nature's colorful creations at Royal Botanic Garden Sydney, listen to music at Sydney Opera House, tour the pleasant surroundings at Manly Beach, and wander the streets of Darling Harbour. For other places to visit, where to stay, more things to do, and more tourist information, read our Sydney trip builder . If you are flying in from Singapore, the closest major airport is Sydney Kingsford Smith International Airport. In October, daytime highs in Sydney are 28°C, while nighttime lows are 17°C. Wrap up your sightseeing on the 31st (Thu) to allow time to travel back home.